Happy Summer! 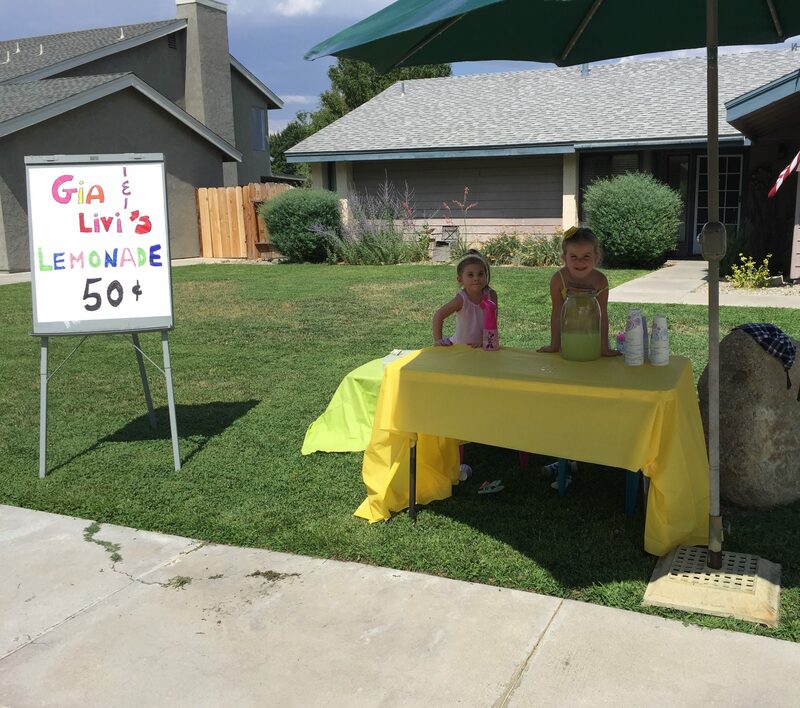 My two daughters, Gia 5 and Olivia 3 wanted to sell lemonade at their very own lemonade stand so badly. They had been asking mommy and daddy for a couple weeks if they could have a lemonade stand. So last weekend, thanks to grandpa who the girls lovingly call “Papa” and daddy (and Grandma Gaga and mommy) they got their summer wish. 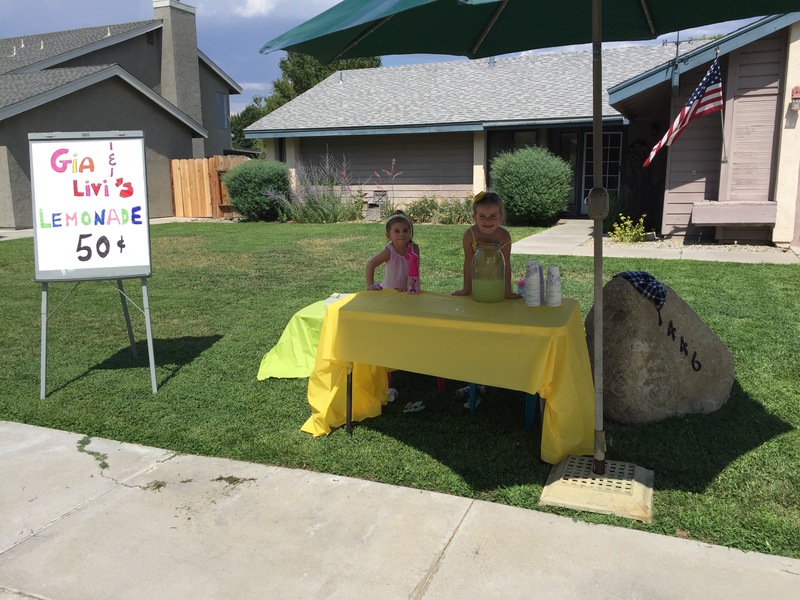 My two little lemonade-loving, entrepreneurs got to sell lemonade in 100+ degree weather. Gia told us she had to stay out there even though it was hotter than bombs because it was her “work.” And furthermore, she informed us, she would keep working until she turned 13 at which time she would retire. Sounds good to me. You go, girl. In past years, I have made lemonade with my students who are in my school-based speech therapy groups. Go here if you want to see our fun lemonade-making day! When Life Gives you Lemons….Make Lemonade! It is SO MUCH FUN to make lemonade, or anything really, with your students. They love it and there is so much learning that takes place. A group of my sweet, second grade boys had a blast. There is so much that you can target during an activity like making lemonade. It really is something you should try at least once! I created this Lemonade Stand BINGO Game to use in my spring and summer speech therapy sessions. You can play Lemonade Stand BINGO before you make lemonade or after you make your lemonade. I like having my speech kids sequence the steps involved in making lemonade. We followed a simple recipe I found online which is also a great activity. Recipes are full of vocabulary. It is also good practice for our language kids to sequence and follow written directions. 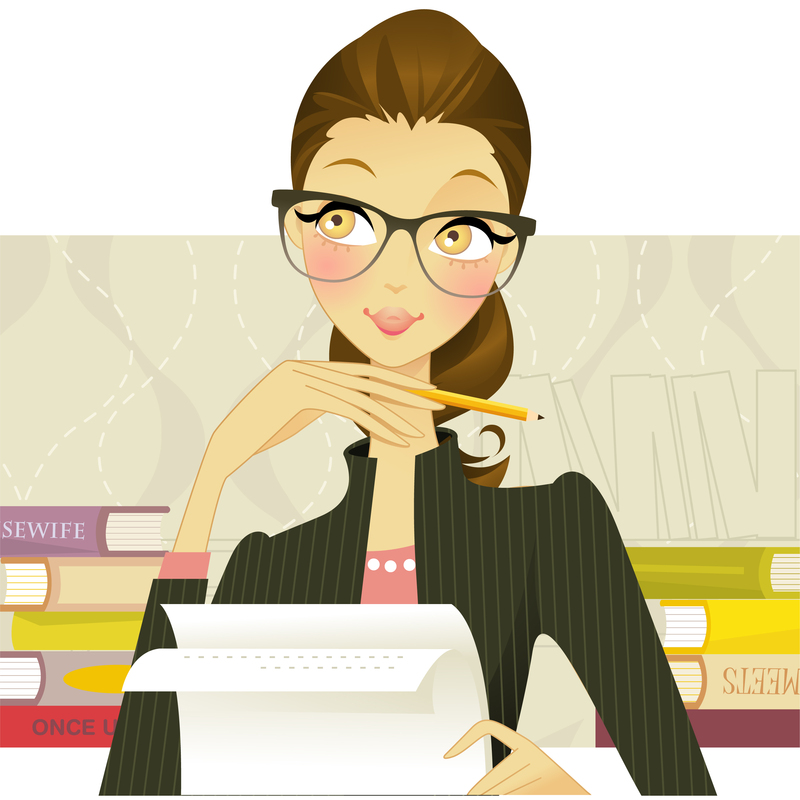 If your students are non-readers, you can use pictures. Have them put the pictures in order of what you need to do first, next, and last. I also like to have my speech therapy language kids generate a list of all the kitchen utensils and of the food ingredients they will need for their lemonade. There are so many ways you can adapt and target specific speech therapy goals using an activity like making lemonade. 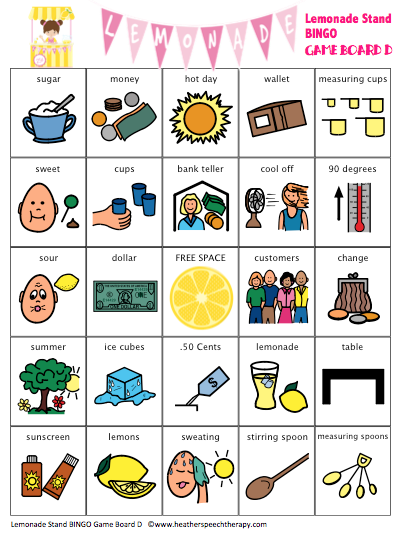 You can use my Lemonade Stand BINGO game to introduce the concept of selling lemonade and how they could go about doing that in the summer to earn some extra money! If your students are anything like my students, that will be a huge motivating factor. If you work with older age kids in high school, you may want to take them to the store to actually purchase the ingredients needed. If you are having so much fun and don’t want to just stop at making lemonade for your group, make extra to sell to office staff or students on campus at break or lunch! I hope you enjoy my Lemonade Stand BINGO Game! It’s a fun one! What beautifully designed bingo cards! Gosh, if we’d have known we would certainly have came by for cold lemonade or warm !